When someone is born with a physical disability, their life may be challenging, filled with frustration, sadness, depression, anger and blame. But not mine. Though I’m still young, my life has been filled with opportunities, successes and accomplishments, with much thanks to the Shriners Hospital. On April 21, 2000, I was born with an extremely rare disorder called Proximal Femoral Focal Deficiency (PFFD), also known as Congenital Femoral Deficiency (CFD). This rare, non-hereditary birth defect affects the pelvis, particularly the hip bone, and the proximal femur, often with the hip being deformed and the leg shortened. To correct the defect, I had a surgery called Van Nes Rotationplasty. In this type of surgery, the lower leg and foot are rotated 180 degrees, the length is adjusted, and the tibia is then fused to the proximal femur. The foot is positioned where the knee used to be, with the heel portion in front and the toes pointing back. The ankle then functions in place of the knee joint. After much frustration with the medical options we had, my mom felt the need for a second opinion. When I was three years old, she made the call to Shriners Hospital. That decision sparked the beginning to what has been an amazing adventure. My mom knew the moment we walked through the doors at Shriners Hospital that things were going to be all right.When I look back through the more than 14 years that Shriners have been a part of my life, I feel truly grateful. Through the support Shriners has provided me, I have grown to be confident, capable and determined person. Shriners has given me the opportunity to independently pursue my passions and share my joy with others. Every day I am thankful that Shriners has given me the support I need to have a full and happy life free from the anger and depression that many people with physical disabilities experience. I have learned to enjoy a wide range of activities that I thought may never be possible for me. I love to ride ATVs, but I have a special passion for water sports. After some adapting I learned to kneeboard and ski “my way” and now have moved to my new favourite: wake-surfing. As a kid, I never played team sports because they all involved running, and I’m not exactly the fastest runner! At 14 years old, a therapist suggested I try Wheelchair Basketball. I instantly loved it! I am now competing provincially and nationally. One of the biggest highlights of my basketball career was competing in the U23 World Championships in Germany last year. Recently, I jumped another major hurtle when I got my drivers licence. As with everything I do, it’s done “my way.” I was determined not to have hand controls, and with a few adjustments I was successful in getting my licence. After I mastered the auto transmission, I was driven to do what I thought was impossible: to drive standard. And I have succeeded. 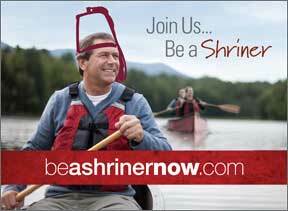 I am to the support of Shriners! I am a lucky kid!